A spatula and spoon all in one! 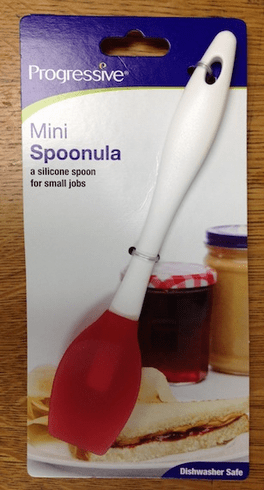 This mini spoonula is great for small jobs, whether to bake a little treat or for reaching the bottom of your favorite jelly jar. Heat rsistant to 500F. Great for scraping the bottom of jars, cans, and bottles.